Are you looking to travel to Orlando for the theme parks, but would rather not stay in a noisy city or impersonal hotel? Experience the best of both worlds of central Florida — the big city excitement of Orlando, and the small town charm of the St. Johns River — by booking your vacation rental at Tropical Resort & Marina. Great for families, nature buffs, and fishing enthusiasts, Tropical Resort & Marina gives the discerning vacationer a new view of central Florida, while being conveniently close to both Orlando’s theme parks and other central Florida attractions. Orlando’s great, but why don’t you mix it up with a vacation rental at Tropical Resort & Marina? 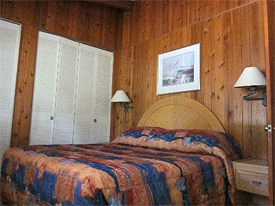 Our available rentals include RV hookups and fully furnished studios and hotel suites with one, two, or three rooms. Amenities include laundromat, pool, campground, boat rentals and ramp, and a snack shop. The beautiful property, waterfront location, and old Florida charm combine to make this a quiet and peaceful spot for those wishing to add a natural element to their Orlando or Florida vacation plans. Our customers hail from all over the United States, Canada, and Europe, and many return year after year for the charms of central Florida and the many unique attractions available in our area. Uniquely situated for all the excitement of Orlando (Disney World, Epcot, Universal Studios, and so much more! ), as well as the many natural splendors Florida has to offer, like nature trails, hiking, and fishing, Tropical Resort and Marina is the “natural” choice for a vacation rental close to Orlando, with small town charm. Shady campsites, wildlife (including manatee and bird watching), location on the St. Johns River, and the charms of Deland will both thrill and relax you. When you plan your next central Florida vacation, consider a vacation rental at Tropical Resort & Marina in Deland. Enjoy good fishing and a natural setting, comfortable accommodations, and a convenient location that will allow you to enjoy Orlando and the lively culture of central Florida, as well as old Florida charm and the beautiful St. Johns River.